Entering her sophomore year at Hubbard High School, Katie Stinson is a first-year Hub Staff member. Katie enjoys writing about current events and global news stories. She hopes to express her interest in these topics as well as inform her fellow classmates on them through her writing. 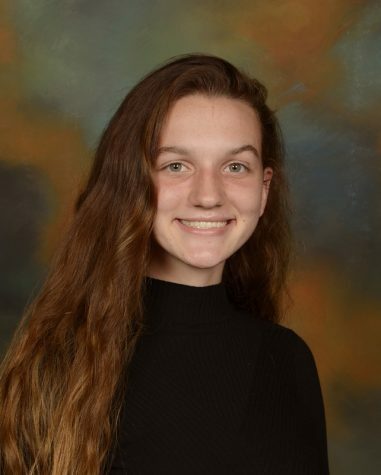 Katie is enrolled in three sophomore honors classes and is a part of various school clubs and extracurricular activities including the Ecology and Spanish Clubs, and English Festival. She is a member of the varsity girls cross country and indoor/outdoor track and field teams. Her freshman year, she lettered and was named “most valuable runner” in both sports. After graduating high school, Katie hopes to continue running track and cross country in college. She wants to study law in college to become either a defense attorney or corporate lawyer once she completes her schooling. Katie wants to move to New York City once she begins her career.